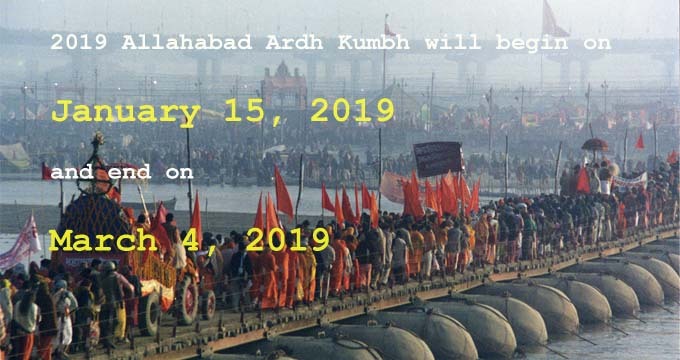 Attending the Kumbh Mela in Allahabad - the second oldest city in India bustling with an enriching history of the mythological times to Mauryan and Gupta Empires to the Mughal Empire, has its fair share of advantages. Apart from being the part of the awe-inspiring Kumbh Mela, a gathering of millions, whereby you will be able to witness the Hindu culture and religion in its best of display; you will also be able to visit the various tourist attractions in and around the city. Being a tourist and after you have seen what Allahabad has in store for you, you'll be sure that you couldn't have asked for more as Allahabad will serve to your desires of getting submerged in an enriching history filled with many fascinating legends and facts from the yore. The following section will provide you with information on important tourist attractions of Allahabad. Have a read! Built by Emperor Akbar in 1583 AD, the Allahabad Fort is a fine example of Mughal design and craftsmanship that is unrivalled, to say the least. Situated at the banks of the river Yamuna, the fort is presently used by the army and a limited area is opened for visitors. Located inside the Allahabad Fort is the underground temple called Patalpuri. The temple is famous for housing an immortal banyan tree known as Akshaya Vat, which is much revered by the devotees as it is believed to be visited by Lord Rama himself. The tree has been mentioned in several ancient scriptures and writings of historians. Asoka Pillar, a 10.6 meters (35 feet) high figure, is also located in the front of the entrance to the Allahabad Fort. Made of polished sandstone, the pillar contains several Asokan edicts and a Persian inscription of the great Mughal Emperor, Jehangir. Located near Sangam, the confluence of three holy rivers of India - Ganga, Yamuna, and Saraswati, is a famous temple dedicated to Lord Hanuman. The temple houses one big idol of Lord Hanuman in a slightly reclined posture. When the water of Ganga overflows, the temple gets submerged. Anand Bhawan is the ancestral home of the Nehru family where many decisions and events related to the freedom struggle have been known to take place. Today it is a museum which houses the memorabilia of the Nehru family. Swaraj Bhawan, on the other hand, used to be the headquarters of the Congress Committee. Both the Bhawans together served as the Parliament during the British Raj era. Also known as Alfred Park or Company Bagh, Chandra Shekhar Azad Park is dedicated to the great freedom fighter and a martyr - Chandra Shekhar Azad. Allahabad Museum, Victoria Memorial, and the Public Library (75,000 books, manuscripts, and journals) are also bordered alongside the park. History makes itself visible at every nook and corner of the park. Clad in white stone with red sandstone dressings, All Saints Cathedral is the finest example of Anglican architecture in Asia. Designed by Sir William Emerson in 1870 and consecrated in 1887, it is one of the oldest churches in India and is popularly known as Patthar Girjaghar among the local people. The fantabulous inlay and mosaic work is sure to mesmerize you with its elaborate designs. Khusro Bagh was completed in 1622 AD and houses the tombs of Khusrau Mirza (eldest son of Emperor Jahangir), his mother Shah Begum, and his sister Sultan Nithar Begum. Adorned with birds, flowers, and Persian inscriptions, it is another fine example of Mughal architecture. To explore the rich culture and great heritage check out Indian vacation packages.